Columbus Health Insurance is health insurance for Columbus, Ohio residents and nearby states. It is part of QuoteFinder.org and specializes in health insurance, dental insurance, Medicare supplemental insurance, term life insurance, guaranteed issue health insurance, accident insurance, and travel insurance. Columbus Health Insurance quotes can be obtained by clicking on the toolbox on the company’s website. Simply fill out the online form by inputting your zip code, type of insurance that interests you, name, phone number, and email address. Once this information has been submitted, the website will ask for your gender, date of birth, height, weight, and whether you are a smoker. You can also add spouse information and information regarding your children. Prospective policyholders can then print the plan comparisons. After you have reviewed the various plan options and decided on the plan you prefer, the company asks you to apply for coverage. Columbus Health Insurance offers various plans depending on your needs. 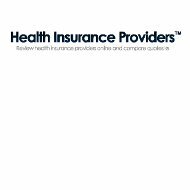 The company offers health insurance by underwriting for Aetna, Anthem Blue Cross Blue Shield, Assurant, Humana, and United Health One. Columbus Health Insurance offers Medicare supplements to Medicare recipients. The supplemental insurance provides additional coverage for office visits, medical procedures, and pharmaceuticals that are not covered under Medicare. The policies are available to Ohio Medicare Part A and Part B recipients and Medicare Advantage recipients. For questions or enrollment in the supplemental insurance, please call (877) 305-9083. Columbus Health Insurance also provides access to a Guaranteed Issue Insurance plan, which is administered by Assurant Health. Columbus offers a link on its website to Assurant Health or you can call (877) 691-7467 or (877) 691-5224. Under this program, no one can be denied insurance coverage. Accidental insurance is also available through Columbus Health Insurance. Interested customers should click on the link to find out more information and pricing for the four different plans. The plans cover all medical expenses after the $195 or $275 deductible is met. You can use any doctor or hospital and all benefits are paid directly to the policyholder. There is also a network of physicians that policyholders can call to discuss any current needs or issues. There is an automatic acceptance for all applicants up to age 64. For additional information call (877) 305-9083 or email your request to [email protected]. Travel insurance is also available through Columbus Health. The product covers individuals who are travelling outside of the United States or foreigners who travelling into the United States. The plan is offered by IMG, International Medical Group, and provides up to $2,000,000 of medical coverage. Medical benefits and medical evacuation are covered under the Patriot Travel Plan. The policies are written for five-day travels and up to two years of travel. You can obtain a quote by following the link on the website or by visiting IMG travel insurance plans. Student health insurance is another option through Columbus Health Insurance under the QuoteFinder.org organization. This is a very important policy to have if you are no longer covered under your parent’s insurance policy. Quotes start as low as $50 a month. Columbus provides customer service to its policyholders by including important links on its website. For example, the website has the link to the Ohio Department of Insurance, U.S Government Medicare site, and the U.S. Department of Health. There is also a login tab for current policyholders to use, but it appears that the link is currently broken or loaded incorrectly. You can reach a Columbus Health Insurance agent by calling (877) 691-5224 or by emailing [email protected]. You can also contact an agent by filling out a form on the website, which asks your name, phone number, email address, and whether you prefer to be contacted by phone, or email. Columbus Health Insurance provides customer reviews on its websites. The customers all claim how Columbus saved them money and are quite satisfied with the coverage they have received. There is no A.M. Best rating for Columbus Health Insurance as they underwrite insurance for various insurance companies.